Last week Muscle Man was BUSY!! 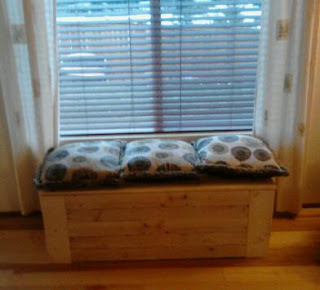 I hinted that I wanted him to to build me a window seat before LS#2’s birthday party. I am able to get reclaimed wood from my work so he had everything he needed. I stayed home sick with a horrible headache on Tuesday as he slaved away in the garage. He pulled it off just in time for the party and I LOVE it!! There is storage under the lid which will be great for baby toys this summer. 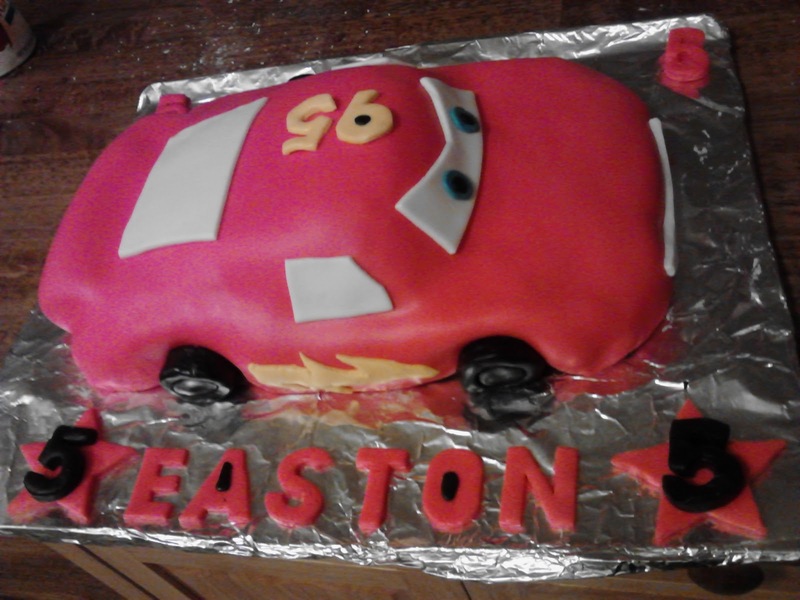 LS #2’s party was Cars themed so MM got an idea in his head that he wanted to make him a real Lightning McQueen cake. 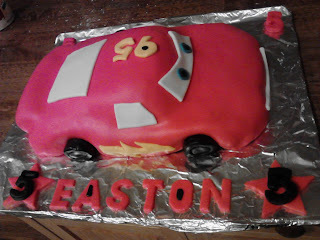 My co-worker gave us a recipe for fondant, he bought the supplies, watched some you tube videos and off he went. 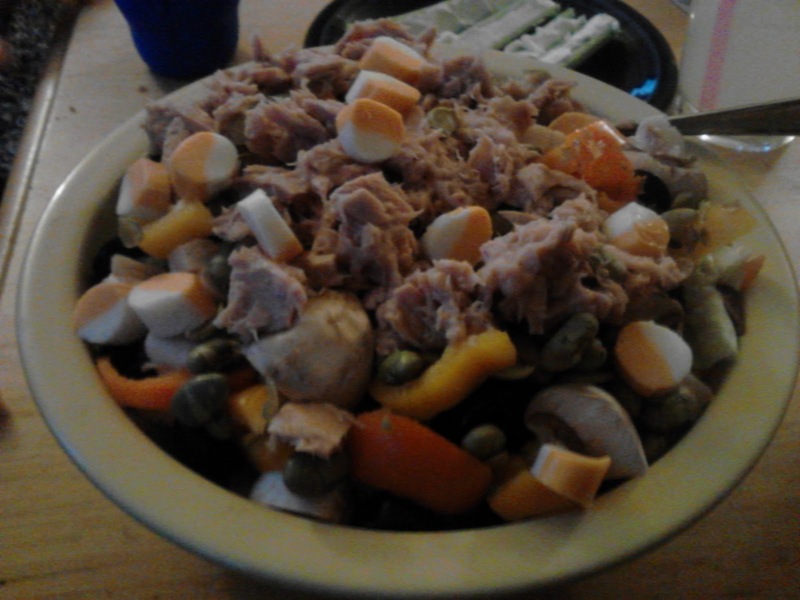 The result was AMAZING and tasted great!! I have been walking almost daily with my co-workers at lunch which has been great. 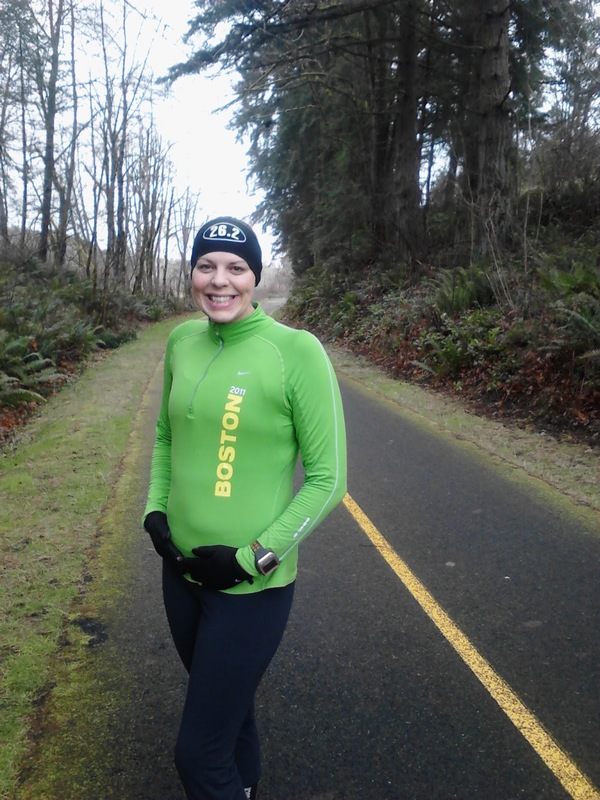 Even with the chilly weather we are getting out there and getting fresh air. Due to the pregnancy induced headaches my Dr. recommended that I try massage. So I made an apt and had a 1 hour massage on Saturday morning. It was GREAT! I plan to have a massage a month mostly covered by insurance less the $30 co-pay.. a small price to pay for my RELAXATION. We fit in 2 runs this week a 5K on Friday night and a 10K on Sunday. I was a little nervous about the 10K, it is funny how my perspective has changed as far as distance. I was most worried about my stomach and that I could make it without having issues. Thankfully all systems were great and we ended the run with 10:33 pace. Being that this is my 3rd baby my baby belly has popped a bit sooner. My waist has thickened making wearing my normal pants very uncomfortable. And yet I am too small for real maternity clothes. I purchased a few things to help make the transition during this weird time. *My goal is to walk/run 10-15 miles a week as long as I can. Current Craving: Salads and fruit, this baby is being nice to me. Baby Likes: Moving around at night time... I am amazed I can already feel the movements, I am in trouble when baby gets bigger. Excitement: Old Navy purchases arrived and all 3 items fit!! Gripes: Headaches that won't go away! Purchases: I took a break from shopping this week. Last week was a GREAT week for me. I felt very active walking 4 days and running 2 days. The weather here has been less than ideal with freezing fog and temps in the 20’s but I have not let it totally stop me. I feel like I am starting to get my energy back but in limited increments. I read the Exercise section of “What to Expect When Expecting” last night and I wish I had it in front of me. Some of the facts are pretty amazing, like the more active a mom is while pregnant could have a direct correlation to how active her child will be. Very cool stuff! Right now I am struggling with comparing myself to others, but I know better!! I work full time, and have 2 kiddos… thankfully I have an amazing partner who reminds me every day that I am doing great. Run #1= The trail is between my office and home. Muscle Man picked up LS#1 at school and we met at the trailhead after work for a run. The sun was out but it was still pretty chilly, thankfully the boys had a blanket and their wind cover. 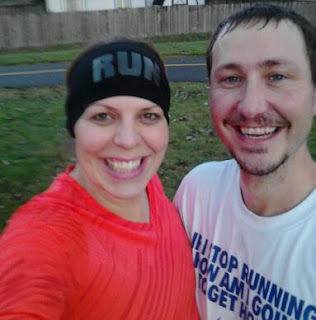 We both were pretty low energy but we pushed on to finish with a solid 4 mile run. Run #2= Saturday at 10am we set out, the parking lot at the trail was EMPTY. The freezing fog kept the fair-weather folks at home. We did not have a set distance in mind but quickly realized that anything beyond 3 miles was not smart. 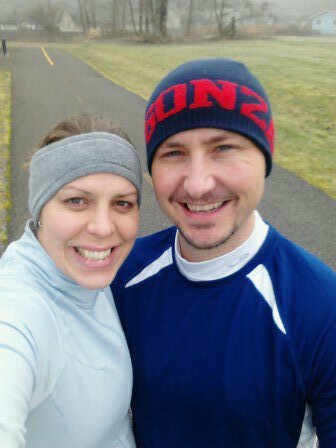 We finished with a 5K and raced home to a warm shower. Gripes: Nasal congestion and interrupted sleep. 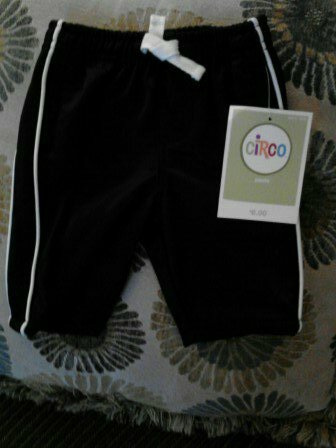 Purchases: 1 pair of baby track pants, Maternity clothes 4 tops, 2 work pants, 2 everyday pants, 2 long-waisted workout tank tops for volleyball and undergarments. That is it for me.. how are you doing today? Anything fun an exciting to beat the Winter Blues? Teaching our youngest son to write and oldest son to spell I realize something…everyone learns differently. I may think that I am explaining things simply but to them I could be talking Swahili. Thinking back to when I was Learning to Run I didn’t know what I didn’t know. There were so many things to learn about the sport and my own body. These things cannot be learned from a book (or a Blog) most are pounded out on the pavement, however, I can pass on some things that I have learned over the past 5 years that may be helpful for those just beginning this wonderful adventure. Endurance: How long can your body continue to run? The only way I was able to figure this out was to test my limits. I took the right approach to this, following a training plan and gradually increasing mileage to gain endurance. So far my cap is the Marathon, 26.2 is about all this 6’0 mamma can handle. When I first started running if you would have asked me if I could run a marathon I would not have believed it. With time, training and experience I gained physical and mental endurance. Pacing: It is fun to watch our 7 year old run. He takes off like a bullet, so FAST… before long his little body is spent and he has to stop. He does not realize that if he slowed down and paced himself that he would be able to run longer and eventually get to a point where he could hold that FAST speed longer. When I was training to qualify for Boston it was very important to train my body to go the pace I expected it to go on race day, race pace. But did I need to run that pace every day? No way!! When you are learning to run you will quickly learn your comfortable pace. For some that may mean walking. Over time that pace may get faster or slower…but you will never enjoy running if you don’t find your Happy Pace and accept it. Hydration: I drink water all day long. I will never go anywhere without water with me. Knowing that about myself I know that I need to have access to water for longer training runs and on hot hot days. You may not know that you are dehydrated until it is too late. Each person is different when it comes to their hydration needs, weak bladders or stomachs can cause some folks to pass up water all together, especially during a race. Electrolytes are also important, some can be rough on the tummy. My main tip is to NEVER TRY NEW THINGS ON RACE DAY. Trial and error is to be done early on in training so you know what you can and cannot take. Fuel: I should not even approach this topic as I am always learning. I tend to stick to the peanut butter toast or oat meal before a run. But since I have been pregnant I have no clue what I can eat before a run. The key is to have enough in your system to give you energy and keep your motor running, without causing you to visit the closest bush.. Fueling while running is critical as the miles begin to pile up. For example, you have 2 pieces of toast and some peanut butter… maybe 400 calories.. After 4 miles you may have burned off your breakfast. Now what?? 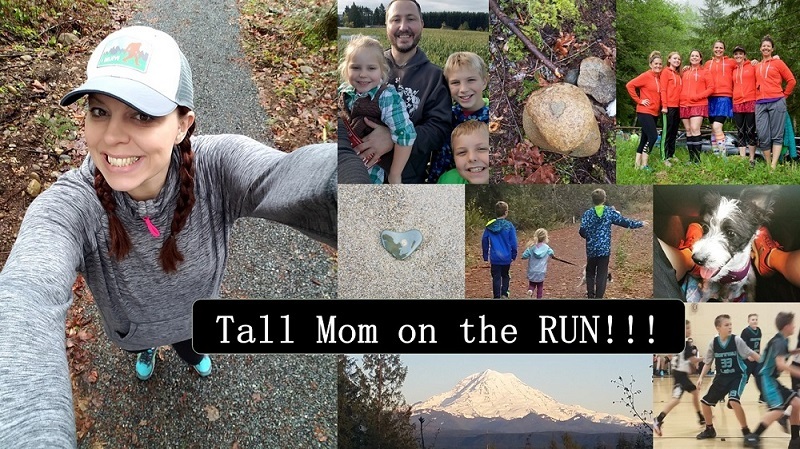 A quick visit to the local running store (or online store) and you will see there are countless projects that claim they will help you refuel. I like to try a variety of things to see what works best for me. I can’t eat the jelly beans, they hurt my stomach, but Gu Chomps work great. When I ran the Eugene Marathon and qualified for Boston I believe that much of my success that day was due to pre-fueling. Putting fuel in the tank before I ran out. Early on in the race I determined set increments to take Gu chomps and Roctane Gu and I stuck to my plan even when it did not sound good. Along with the right amount of water I had the energy I needed to maintain my pace all the way to the Finish.. Injury Prevention and treatment: As a former college athlete I feel like I have a leg up in this arena.. literally I tore my ACL in my left knee my Senior year in college. Although I don’t feel I could have prevented the injury, I learned a lot about treatment, rehab and most importantly, listening to my body. There is a difference between pain and injury. Running is painful, that is no secret. Little aches and pains appear and disappear with each step. The trick is to take care of the little things before they become BIG things. Rest, ice, sleep, foam roller, there are many things you can do to keep your body in tip top shape. But injuries come with the territory, if you are lucky you can find a Dr. who will help you to work through any issue and come back stronger than before. Speed: Speed is not learned.. Speed is developed.. With time, training and a certain amount of PAIN. · Drive the course if you can, this will help you mentally prepare and is especially important for Half Marathons and longer. Lay out your gear, shoes, tag, bib, etc. the night before. What you wear on race day should have already been worn at least 1 run before to make sure there are no fit issues. Charge your electronics the night before: Ipod, Garmin, Iphone, whatever you have, make sure they have the power to get you to the Finish. Know where you are going and arrive EARLY! You want to have enough time to take a wrong turn and still have plenty of time to park. Carpool- If you know of a friend, neighbor, etc. that is running the same race and it makes sense to drive together, do so. This cuts down on stress, congestion at the race and is better for the environment. Use the facilities! You may not think that you have to go and the long lines are intimidating, but better that you get it out now then on the race course. TIP- generally in large races there will be porta potties near the water stops, if you have to go on the run that would be your chance. Rally support. For first races having a support crew can be a huge lift, especially when you are ready to quit. Friends, and family who are there just for you, to bring you supplies, take photos and cheer you on at the Finish. People may not realize how important it is, so ask in advance and make a plan of where you will see them along the way. Pose for the race photographers.. don’t let it throw you off your stride but it is fun to have a nice photo after the race, even if it is mixed in with some crazy t-rex arms photos, like me..
Lather up with Body Glide to avoid chaffing- nuff said. Set yourself up for success. Do not start too close to the front or too far back. You want to be able to easily get to your pace without having to weave around people or being pushed too fast. Setting out too fast can cause major problems pretty quickly. Most important- HAVE FUN! You have worked hard for this. Gear: You can run in almost any climate with the correct gear. I have my go-to outfits for rain, cold, heat, etc. The worst part about the right gear (shoes, bras, socks, tops, bottoms, etc) is that it is EXPENSIVE for the good stuff. All I can say is it is better to have one really good pair of socks you wash over and over than it is to have 10 pairs that give you blisters. Try on your gear, if it is not comfortable when you try it on, it won’t be comfortable on the run. Invest in a hat, visor, sunglasses, gloves, beanie or ear cover, good jacket, high visibility gear for night time, a headlamp, get fitted for shoes, compression socks for after long runs, and whatever else will help you maintain your comfort and safety over the miles. Those are my tips.. join the conversation. What have you learned on the run that you think people should know. Or if you are a newer runner- what questions do you have?